If you looking for a good SMPS from an Indian brand then nothing can beat VIP Power Supplies. Artis (previously Kunhar) is the Indian company and VIP is the brand name for its power supplies, therefore they are also called as Artis VIP PSUs. These Artis VIP power supplies are relatively hard to find in the local market because of their low availability. Artis VIP power supplies have great performance, strong build quality and are cheaper than the SMPS from popular big brands such as Corsair, Cooler Master, Antec etc. If you are on budget then these VIP PSUs are a great buy and you can safely go for them. Here I am going to list down all the VIP SMPS and also provide you the links from where you can buy them online in India. Here is the complete range of Artis VIP SMPS that you can buy according to your computer specifications or requirements. It is the most basic SMPS from VIP with output of only 250 Watt. This SMPS has 15A current on 12V Rail and is meant for only PCs with very low end configuration. It comes with safety protection features such as OVP/OPP/SCP/LVP and has 76% efficiency. This SMPS is perfect for mini cabinets where space is a bit of concern. The fan is located on the bottom and has quite operation. You can get this SMPS under 1000 rupees from the link given below. It is a basic and entry level SMPS from VIP. You should not get confused with its name because it is not a 400 Watt SMPS. It is only a 310 Watt SMPS from VIP. This SMPS is for low end PCs without graphics card. Artis VIP 400r Plus SMPS has 20A current on 12V Rail which is low for a modern day PC. The 80mm fan present on the back side of the SMPS is quite silent and does its job quite nicely. VIP 400r Plus is a good low end branded SMPS and it comes with features such as OVP, SCP, OLP and Burnout Protection. It is the cheapest good branded SMPS and you can get this under 1000 rupees from the link given below. Artis VIP 400W Gold SMPS is a 400 Watt Power Supply that can be used for PCs with a budget or mainstream graphics card installed. This SMPS comes with dual 12V rails which has maximum of around 27A total current on it. The SMPS comes with a big 120mm fan on the bottom which is quite and provides good performance in keeping the temperature in control. 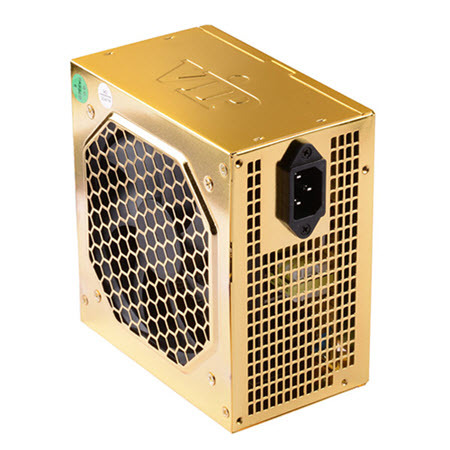 The PSU comes is gold color and has 70% efficiency. You can get this SMPS under 2000 rupees in India from the link given below. A 500 Watt SMPS from Artis VIP. This SMPS can be used with modern day PCs with a mid-range graphics card. VIP 500W Gold SMPS has dual 12V rails with total of 36A (18A + 18A) current on it. 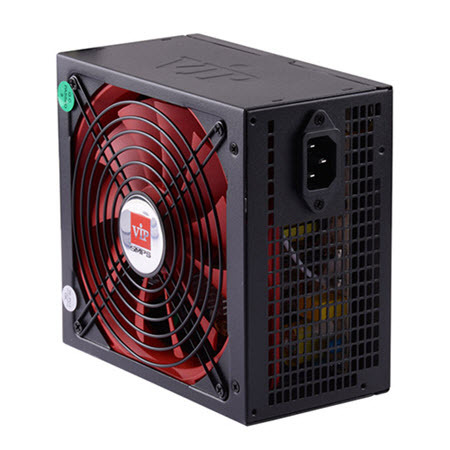 It has a 120mm fan on the bottom and comes with all protection features and PFC (Power Factor Correction). The company claims an efficiency of 70% which is quite good for a power supply in this price range. It is one of the topmost power supplies from Artis that has output of 600 Watt. VIP 600W SMPS has dual 12V Rails and has more than total of 38A current on it. There is a silent 120mm fan on the bottom and has 78% high efficiency. It comes with all the protection features and Active Power Factor Correction (APFC) with PF up to 0.99. The PSU comes with Special zinc-finish casings. This high end SMPS from VIP can be used with PCs with mid-range to high end graphics card installed in it. You can get this VIP SMPS at under 4000 rupees in India. 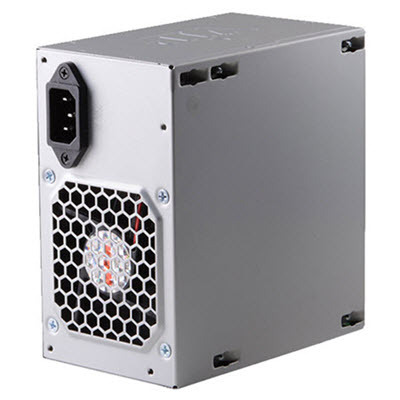 VIP 750W SMPS is the topmost power supply from Artis. This SMPS has dual 12V rails and comes with 120mm silent fan, Active PFC, protection features and has high 85% efficiency. It is a high reliable SMPS and you can get it at around 5000 rupees only from the link given below. I have listed down all the popular Artis VIP SMPS that you can buy for your PC. If you have any queries on which VIP SMPS to buy for your PC then you can ask me by leaving a comment below clearly stating your complete PC configuration. I suggest you to go for Corsair VS550. You can get it here http://amzn.to/2ib1lC3. You should be fine with your motherboard as there would be be any real world performance gain in switching to PCIe 3.0.
then get Corsair VS450 as it will also do fine. You are welcome Pritish and please do share this blog with others. so it should be branded or the watts, as i used foxin fps 800 and played tomb raider it restarted and never rebooted. It should be branded and have more than 30A current on 12V rail. To be on the safer side i would advise you to get Corsair VS450. frontech jil 600w will do? 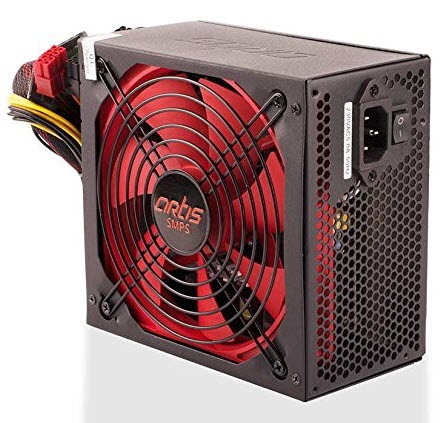 does artis 600w is enough or i can go for 750w.or is always thebranded corsair? Artis VIP 600W is also good enough. No need to go for 750W. Above system will be solely for media/ download center. Kindly prefer any power efficient SMPS for 24x7x365. HDMI TV for HD Content; etc. I am eagerly waiting for your Reference. How much is your budget for the SMPS? Kindly review or estimate how much power did VIP 400W Gold and VIP 400R Plus will consume from wall ? I will extent my budget to VIP Gold if you think it is more power saver than Plus. 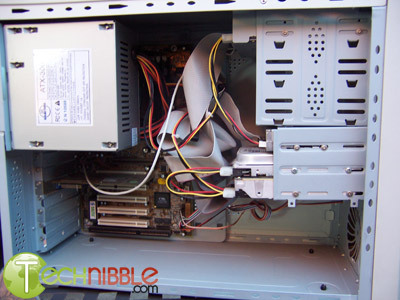 Please refer a CPU cooler for Intel Core 2 Quad Q8400 & Dual Core e5800 Overclocking. Thank You Very Much, I will definitely use it for my Q8400 Build. Regretfully I failed to tell you that my E5800 Build only have a 7-8cm gape between my Corsair vs450 and GA-G31-ES2L Motherboard, kindly advise any Cooler and Paste for overclocking. I have told you the cooler and i did not get you this time. actually this cooler is 12.5 cm tall which will not fit in my E5800 build. Then i am afraid that there are not any good options available you have to settle for any basic CPU cooler. Oh! OK then I should go for good cabinet, I will definitely contact you before buying any. Thank you very much . Highly appreciate your swift and brilliant reply. You are most welcome and please share this blog with your friends and others. Sir hello once Again…. I want to ask if i can run r7 240x on VIP 400w psu? I have bought a VIP Gold 500W..following are my Configuration.. I am afraid of switching on my PC..because I am afraid that my PC will die because of the PSU..also on Forums I was told that VIP PSU’s are Absolutely Crap..and should not be trusted to run a R9 270X…Can I Run?? Don’t be afraid and switch ON your PC. Can msi gtx 1050ti 4gt oc gpu easily perform on artis Vip 400w smps , or without any restarting problem sir please tell me the true ans. what is your PC specs? You must change your SMPS. Artis 500 is a decent SMPS and will do. How do I make sure that this smps will fit in my cabinet? Dimensions mentioned on cabinet box are 410×225×460 mm. Hi sir, i have a pc with these specs- i5 7400,8GB DDR4,GIGABYTE GTX 1050TI 4GB,1TB HDD which will be the best psu for this specs.my budget is 2000.ppz help me. Thnk u sir for the reply.but a 400w enough for gaming? ?i play games for 5-7 hrs a day. Hey akshat,i was planning to build a pc. Will the artis vip 400w gold psu be enough for this setup.I find this to be much more easier on the wallet.Plss reply soon. Artis VIP 400 GOLD SMPS should be enough for your system. sir i have frontech jil 2414i 450watt psu which was running ati hd 5450 fine now i bought a used gigabyte hd 5770 i can use normal usage like watching videos or surfing internet fir hours but when i try to play any graphic intensive games as soon i got into the game within 3mins i get a black screen and vertical color lines is this becoz of low brand psu? 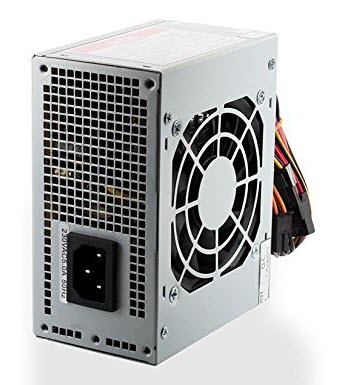 should i get a new branded psu ? It may occur due to a cheap PSU. I suggest you to go for Corsair VS450. will this be enough for 5770? nice to see your blog on smsp. I have a slim cabinet from a chinese company and it has SFX form factor power supply similar to Artis 250 mini. Are you aware of any alternative other than Artis 250 for SFX power supply, Say at least 300W. I amy have to discard my cabinewt if i dont find a replacement. There are replacements from silverstone etc. but importing them would cost me above 6k. I am afraid there are not as of now. what is the problem with the zebronics SMPS? could I trust the below shopping site? Go with Cooler Master MasterWatt Lite 450W or Corsair VS450. if i buy artis 500w gold is their any loss or any dissadvantage or in future, because its easily available in local shops in my area.. I don’t get you and what disadvantage are you talking about. In my opinion it is a decent budget SMPS. I suggest that you buy a standard PSU and then can use a 24-pin to 10+4pin adapter, which can be found online on amazon or other online sites.